We are a customer-focused, integrated maintenance company operating projects throughout the Southeast and Mid-Atlantic states. 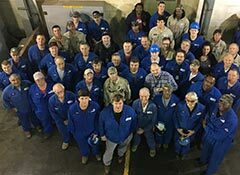 If you are seeking employment with a dedicated industry leader, and committed to safely improving and perfecting our industry, you may be a candidate for GreenWood. We look for skilled, experienced, and qualified professionals in maintenance, construction and plant services. GreenWood offers unique opportunities in professional development and growth featuring an outstanding benefits plan and training program. If you feel your values align with the culture at GreenWood, Inc., and you can provide a long-standing track record of safety, skills, dependability, and accountability, we invite you to peruse our Job Postings to determine if there is an opportunity that interests you. Applicants must be willing to abide by our Zero Incident philosophy in order to work at GreenWood, Inc.
GreenWood, Inc. participates in the United States Department of Homeland Security's E-Verify program. 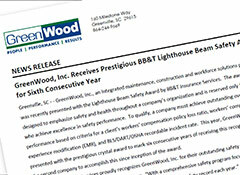 This program enables GreenWood, Inc. to use an online eligibility verification system for applications submitted. By using this program, we are able to be fully compliant with Federal law, which requires all employers to verify the identity and employment eligibility of all persons hired to work in the United States. For more information on E-Verify, please read the notices below when you are applying for work at GreenWood, Inc.
GreenWood, Inc. is an Equal Opportunity Employer and hiring decisions are based on experience, qualifications, skill sets, and abilities. GreenWood does not discriminate in employment opportunities or practices on the basis of: race, color, religion, gender, national origin, age, sexual orientation, gender identity, disability, veteran status or any other characteristic protected by country, regional or local law. GreenWood provides reasonable accommodation so that qualified disabled applicants may participate in the candidate review and hiring process. Coming to GreenWood was an easy decision for me because I knew I was joining a team where each member supported the other. 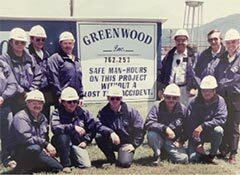 GreenWood’s reputation for doing what they say they’re going to do went a long way in helping me accept my position with the company. The GreenWood culture of continuous improvement allows you exposure to new and different roles that help hone your skills. I’ve had great supervisors who have challenged me when necessary while offering ways to help me grow professionally. 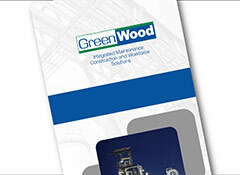 With GreenWood, you have the opportunity to work directly with management who take a personal interest in your career. For me, it meant that I could cross-train and progress with different levels of responsibility on various projects. That’s been huge for my career. I was part of a transition to GreenWood and appreciated how smoothly the process flowed and the support we received for each employee. As a Site Manager, this was very important to me and I’m grateful that the resources were made available to meet the needs of our team members and my personal career. Providing value to our customers and our employees means we must always look for ways to continuously improve the learning opportunities for our teams. GreenWood’s training programs are designed to bolster the skills and career development paths for our employees. Training programs focus on safety, leadership development, professional work habits, developing a service-minded work culture and appropriate work skills development. Through established relationships with professional organizations such as the Project Management Institute (PMI), Society for Maintenance & Reliability Professionals (SMRP), International Facility Management Association (IFMA), local chambers of commerce and the National Center for Construction Education & Research (NCCER) along with local technical, vocational and trade schools throughout our markets, the training, professional development and networking opportunities we offer are practically unlimited. GreenWood is a certified partner of the National Center for Construction Education & Research (NCCER) who is recognized by the industry as the training, assessment, certification and career development standard for the construction and maintenance craft professional.